My next flight to other ASEAN country destination was scheduled in late evening. Thus, I got ample time to have a side trip. 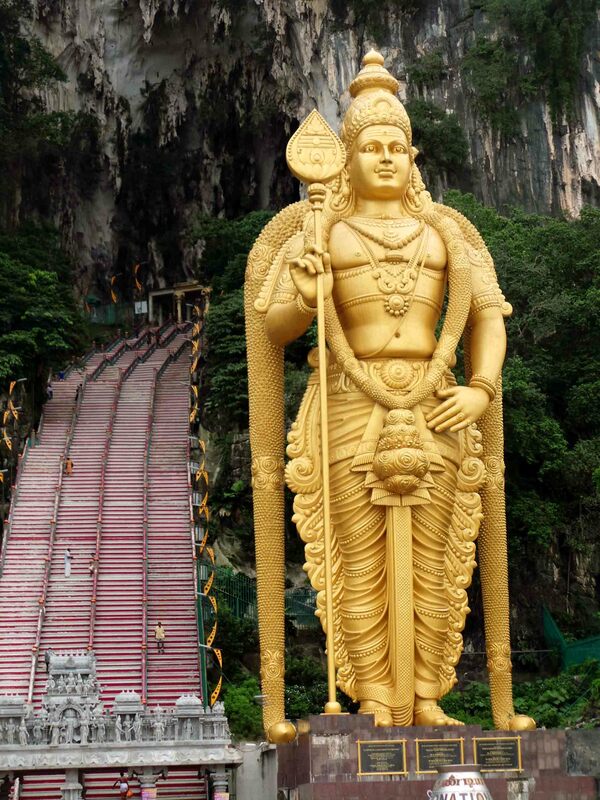 The nearest tourist destination from Kuala Lumpur is the Batu Caves, so I have decided to do a quick trip to Batu Caves. 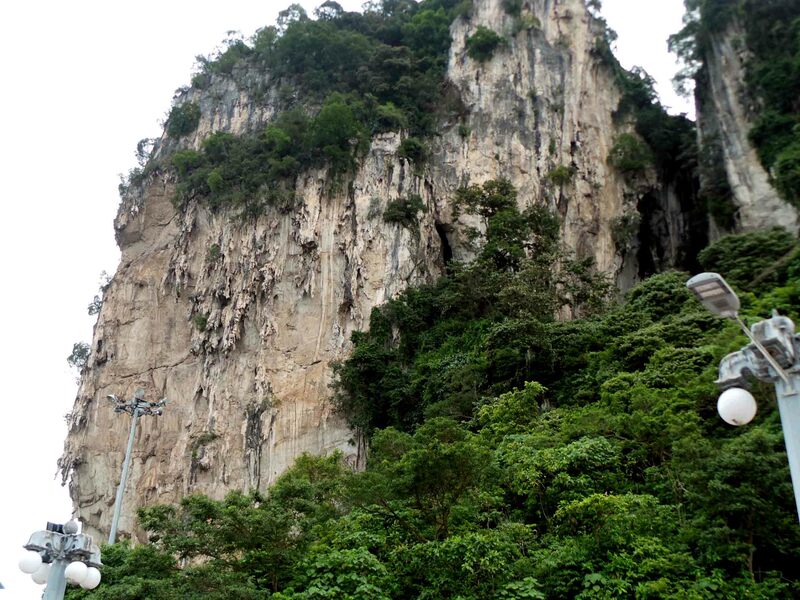 To get to Batu Caves from KL Sentral station, take the KTM Komuter train route to Batu Caves. The train ride took about 30 mins to almost an hour with stops in between stations. I left the hotel at 0700H and got to the train station 15 mins after. It was an early railroad ride with few commuters. The trip was convenient and comfortable and the train was neat and clean. When I got to Batu Caves station, I just followed the signs and seen the gate with this view. 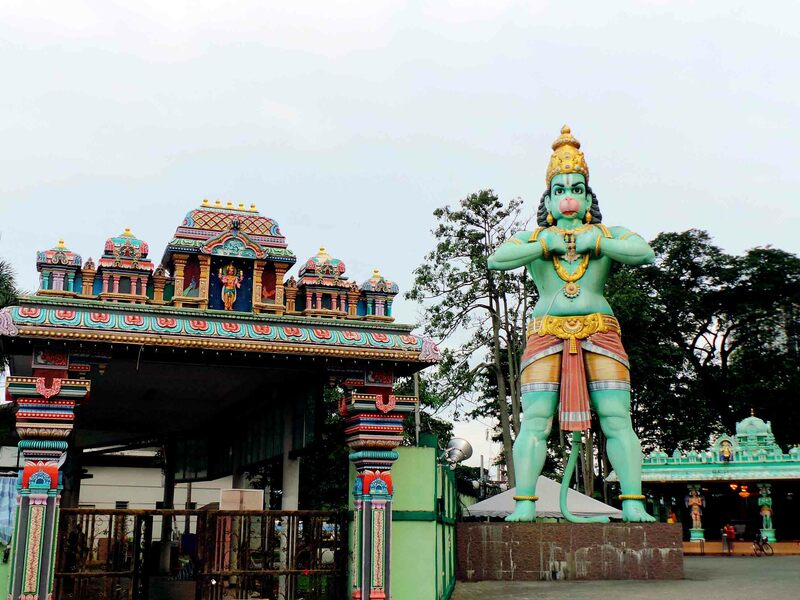 Statue of Hanuman welcomes every traveler at the gate. It is gigantic and magnificent. I was impressed with the details of the statue and how huge it was. 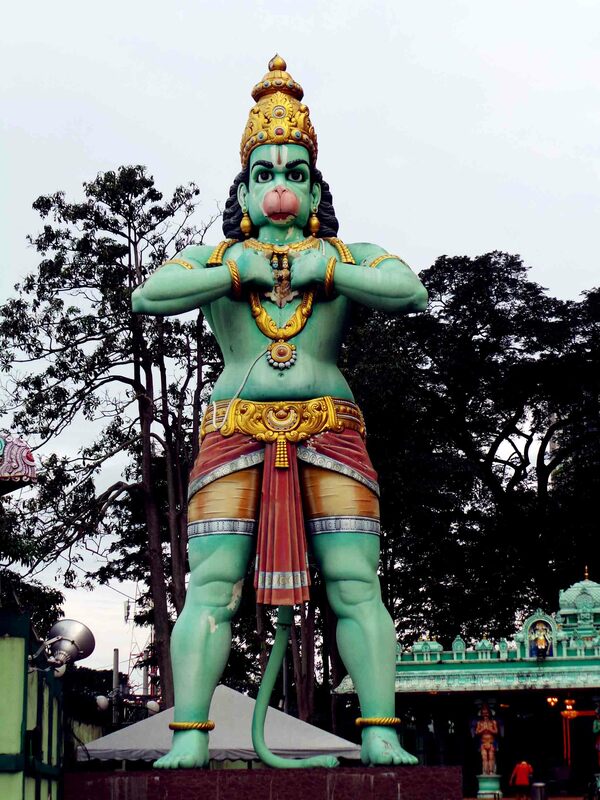 Lord Hanuman is a green Hindu monkey god with golden helmet and arms held across chest. He was a devotee and an aide to Lord Rama. 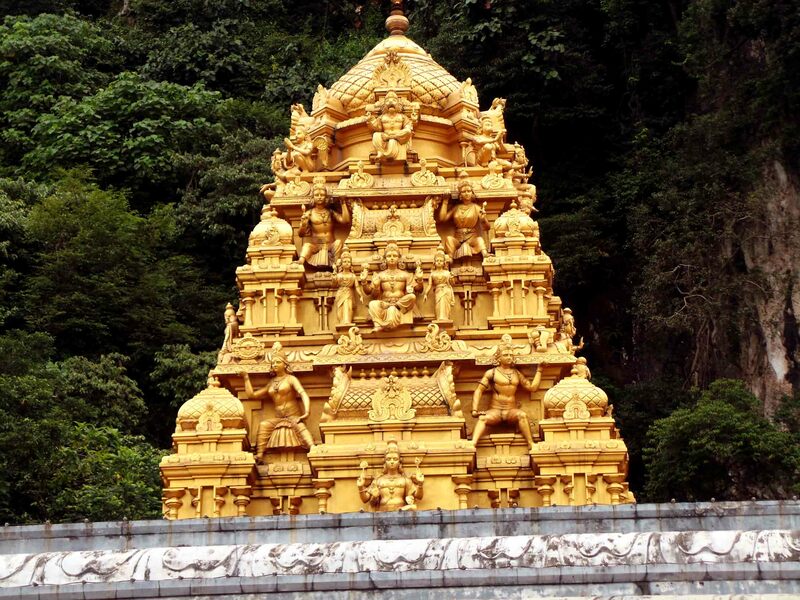 With his contribution to the Hindu religion, a temple was erected with his statue standing on guard the Batu Caves. Lord Hanuman statue and the gate out to the train station. 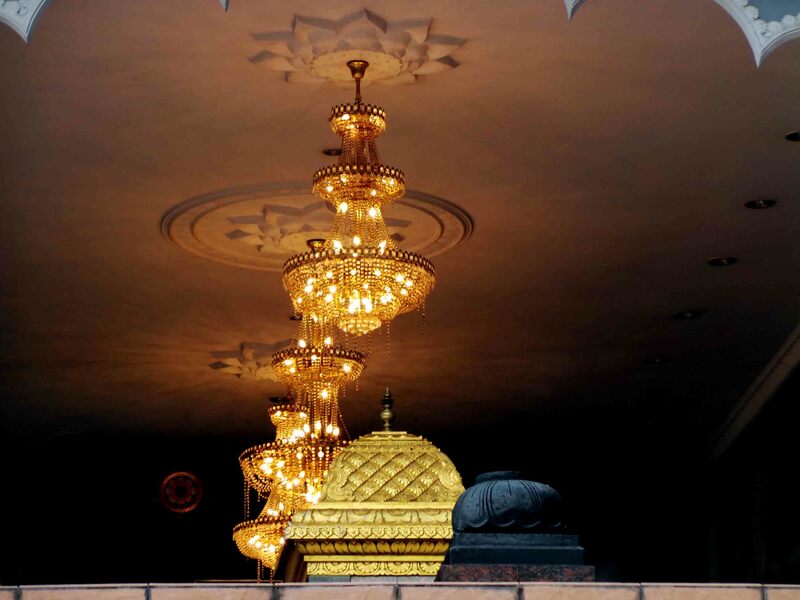 The magnificent chandeliers inside the temple. 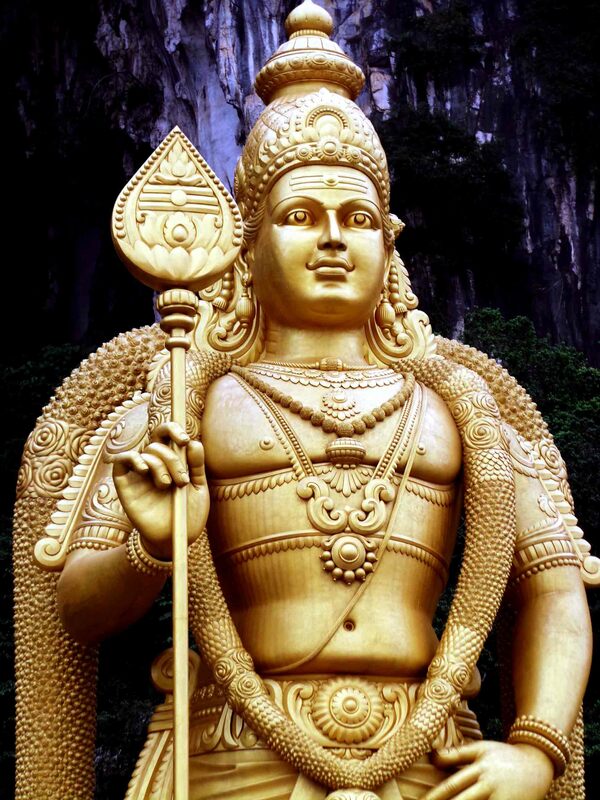 Lord Murugan statue is the tallest statue of a Hindu deity in Malaysia and the second tallest in the world. It took 3 years of construction. 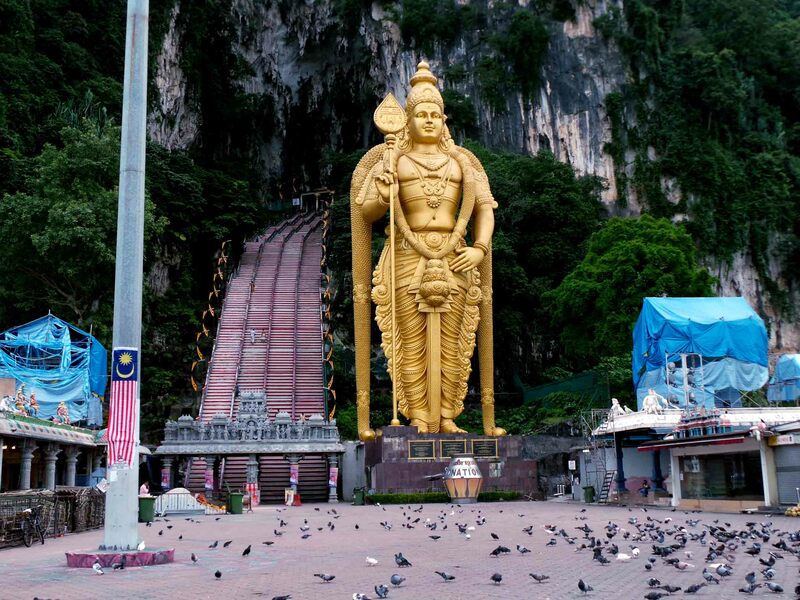 The Batu Caves is referred as 10th Caves or Hill for Lord Murugan. 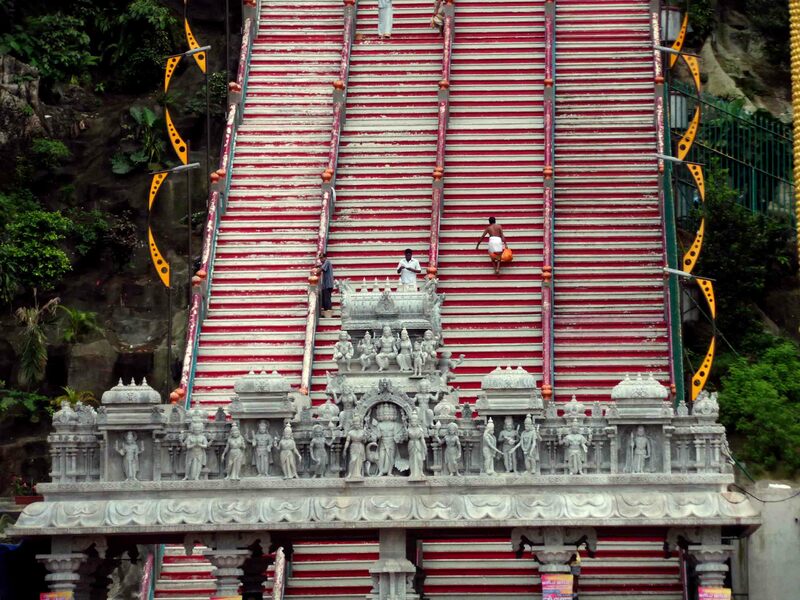 The Batu Caves is a limestone hill that has a series of caves and cave temples. 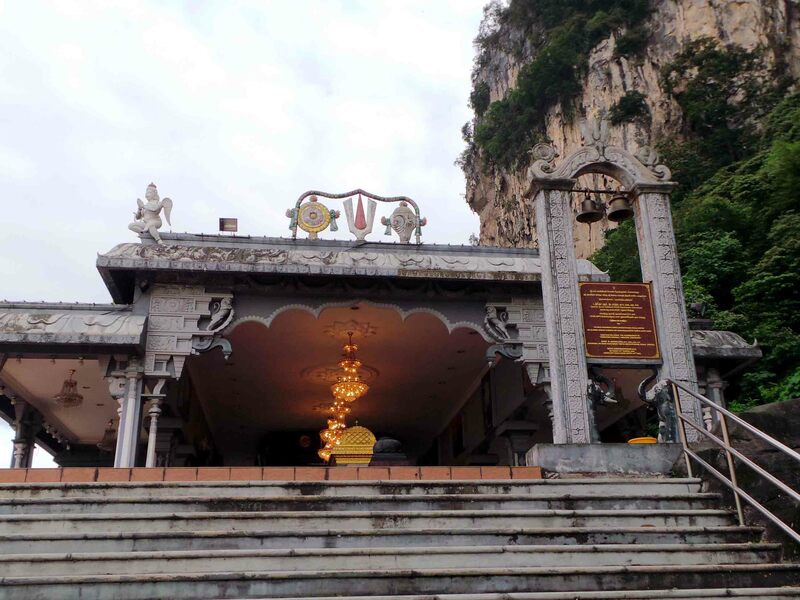 The town nearby is also named the Batu Caves. It was just a brief trip to the Batu Caves but it was worth the trip. The sceneries were just amazing. 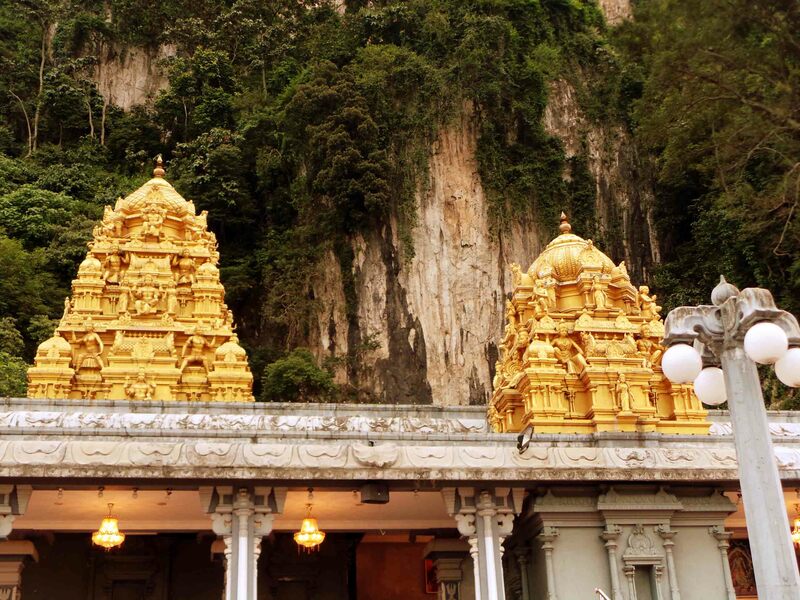 The Hindu Gods and the temples along with the limestone hill were marvelous. It was a good thing that I have decided to get out of the hotel and explore the nearest tourist attraction from KL. 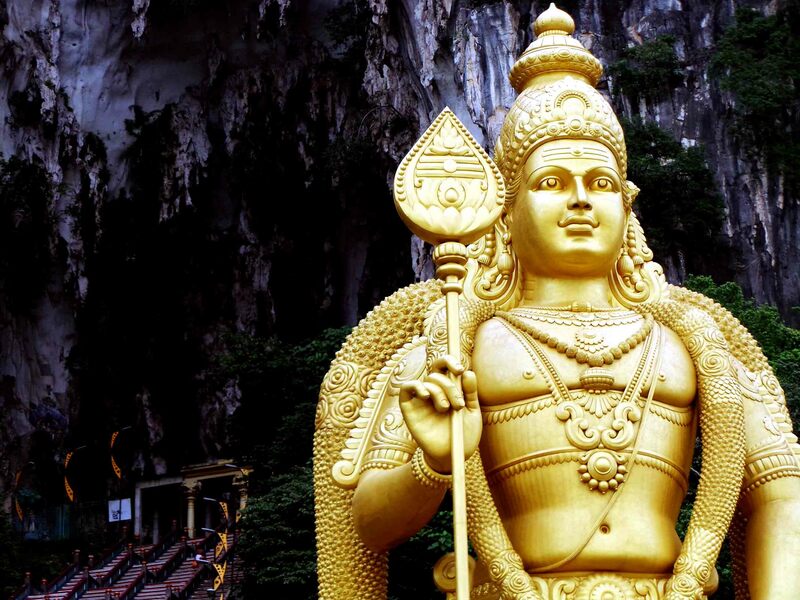 My quick trip to the Batu Caves was indeed a remarkable experience.